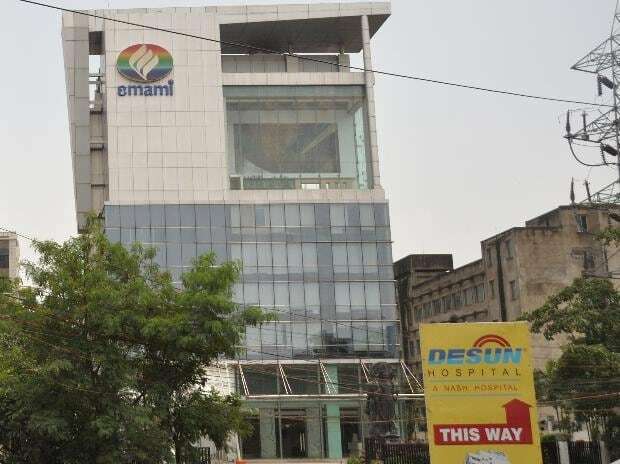 Emami Ltd is eyeing to reduce the percentage of promoter’s pledged shares from the current level of 47.6 per cent to atleast 35 per cent and is in talks with private equity and investment firms. Also, in Emami Paper Mills, the percentage of shares pledged by the promoters stands at 49.93 per cent. This month itself, the promoters at Emami Paper Mills increased their pledged shares from the previous level of 44.98 per cent to the current level of 49.93 per cent. Although Emami Ltd’s debt as on March 31, 2018 was around Rs 118 crore, sources said the company’s promoters, which involves the Agarwal and Goenka families, had to pledge part of their shares with creditors to finance the Group’s other businesses including the capital intensive Emami Cement and other businesses like AMRI Hospitals (hospitals business) and others. Emami promoters hold 72.7 per cent of the shares in the company and 74.97 per cent in Emami Paper Mills. In AMRI, the Emami Group holds 98.02 per cent. In Emami Cement, promoters’ stake stands at 89 per cent. According to ratings agency Crisil, Emami Cement has an outstanding debt of Rs 2,179.50 crore while a report from India Ratings, released in August last year, placed AMRI’s total adjusted debt at Rs 1,301.7 crore. “In fiscal year 2018, AMRI availed term loans backed by corporate guarantees to adjust its cash flow mismatches along with its capex. Considering the proposed Rs 200 crore of capex in the next two years, Ind-Ra expects AMRI’s liquidity profile to remain stretched; however, it is entitled to avail continuous support from its group in the form of unsecured loans”, the report from India Ratings stated. The corporate guarantee extended to secure AMRI’s bank debt can only be invoked after it commits a default. However, furnishing of the guarantee indicates that the guarantor remains obligated to service the debt, albeit after default. Although India Ratings has assigned AMRI a long-term issuer rating of IND A- with a stable outlook, it opined that any dilution in the existing terms of the corporate guarantees extended by the Group companies resulting in a weakening of its parental linkages or deterioration in the guarantors’ credit profiles including but not limited to a steep decline in the valuation of Emami’s shares on a sustained basis could lead to a negative rating action. In case of Emami Cement, ratings agency Crisil gave Emami Cement a long term rating of BBB positive in September last year with a declaration that the issuer is not cooperating. It alleged that although it followed up with Emami Cement for obtaining information through letters, emails and over the phone, Emami Cement had been non-cooperative. Earlier, in an investor conference call, Mohan Goenka, director at Emami Ltd had stated the company is working on reducing the pledged shares. Abneesh Roy, research analyst at Edelweiss Securities said, “Promoters’ pledge to the tune of 47.6 per cent of their holding is a cause for concern”. Other sources suggested that a lower promoters’ pledge helps in maintaining investors’ confidence in the company. In its Draft Red Herring Prospectus, Emami Cement said that the fund so raised would be used to reduce this company’s indebtness as well as some of the proceeds will be routed for general purposes. According to the source, owing to the prevalent market conditions, Emami Cement decided not to pursue this IPO in the near future which prompted the Group to look for funds from elsewhere. When contacted, an Emami Group spokesperson refused to comment.